How to Flash OPPO Find Muse R821 Bootloop via Flashtool Application - Actually fix or solve OPPO Find Muse R821 bootloop or hardbrick is easy, we can use the method to flash OPPO R821. This problem happens because the mistake in tweaking our Android phone or the mistake when rooting causes oppo find muse R821 bootloop and error, usually can't turn on or just stuck on logo. If your oppo find muse R821 faces this problem, flash oppo find muse is the best solution to fix it. There are some methods to flash, they aare flash oppo find muse Flashtool (we mean it via Flashtool application). Flash oppo find muse via Flashtool, yes this title has been so crowded discussed because this method is easy. 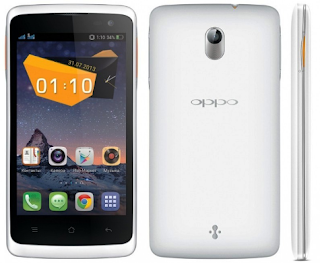 Download MTK Driver for OPPO Find Muse R821, we've provided in the link in this article. Download SP Flash application v5.1352.01 application, we've provided the link in this article. Download Stock ROM OPPO Find Muse R821, we've provided the link in this article. Once you've downloaded all file above, extract MTK6589 Driver and then install it on your PC. Extract SP Flash Tool and Stock ROM OPPO Find Muse R821. Now, open SP Flash Tool folder,click the right mouse on flash_tool_exe run administrator. After Flastool is open, click scatter-loading and then find MT6572_Android_scatter.txt file where you extract the Stock ROM, then select that file and click open! Wait for few minutes for loading process of Stock ROM OPPO R821. Turn off your OPPO R821 (to ensure your phone has been off perfectly, unplug the battery and plug in again). Click download button (if this fail, repeat it from the step 4). Plug your phone to PC via USB cable, while pressing volume up button. Flashing process will run automatically, and wait until this process complete. IOnce the flashing process complete, there will appear checklist with green circle. Now unplug your phone from PC and turn it on (remember that after flashing it needs first booting and it takes about rather old). Finish, flashing process for your OPPO R821 is done. Belum ada tanggapan untuk "Flash OPPO Find Muse R821 Bootloop via Flashtool Application"